The Joining Forces program is a criteria-based early admission program available to military veteran nursing students at St. Scholastica. Learn more. 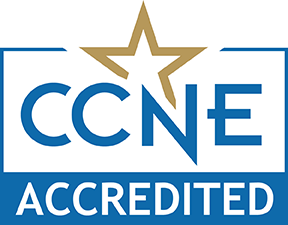 U.S. News & World Report ranked CSS as one of the 2019 Best Colleges for Veterans based on participation in federal initiatives helping veterans and active-duty service members pay for their degrees. Critical thinking, time management, leadership. These are a few of the many skills gained in the military that translate into a successful career in nursing. The Veteran to B.S. in Nursing program is designed to build community among veteran nursing students and acknowledge the skills gained in the military. The demand for registered nurses is rising rapidly. Projected job growth of 16 percent from 2014-2024, according to the Bureau of Labor Statistics. The Institute of Medicine recommends that the proportion of nurses with baccalaureate degrees (nurses with Bachelor of Science degrees) increase to 80 percent by 2020. The College of St. Scholastica is committed to making college affordable for members of our nation's military. We also have generous financial aid packages and scholarships that make us even more affordable. You learned a lot from your time in the military, now it's time you get credit for it. Our academic advisors will work with you to get every possible credit out of your military training and transcript and craft an academic plan that's unique for you. Our Center for Equal Access will help you stick to this plan. In addition, our leave policy will let you take time for training and deployments and pick up right where you left off.